Kids born in present generation are more connected to digital world and have access to advance technology. Technology has made our life and easy but it also has some negative points. There are issues related to threat related to security of important data and privacy. We all know about online threats which are increasing everyday and there is not much strict rules and regulations over use of internet. People often post videos or comments over social platforms using fake accounts which could hurt sentiments of other people. Recently there are many cases where children are facing issues like cyber bullying and some people target youth online and motivate them to take wrong path of non violence and terrorism. Sometimes a single mouse click can open a new website which offers pornographic or other mature stuff which is not suitable for children. Thus it is important to have balance and we need to draw a line for children while using internet access. Most of the parents do not know about their children online activities and often worry about if they are using the internet tool in the right way or not. This is one of the major issues faced by parents across the planet. 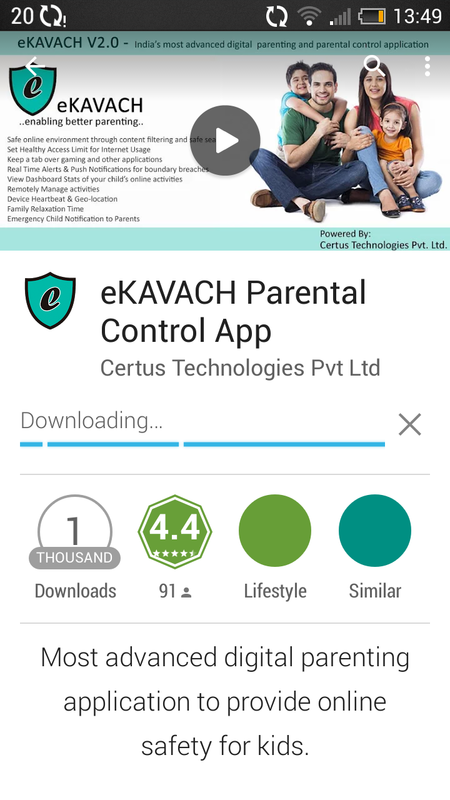 But now this problem is solved with help of eKAVACH Security App which helps parents to control and see real time internet activity of their children. This application is available on both Android and IOS platforms. 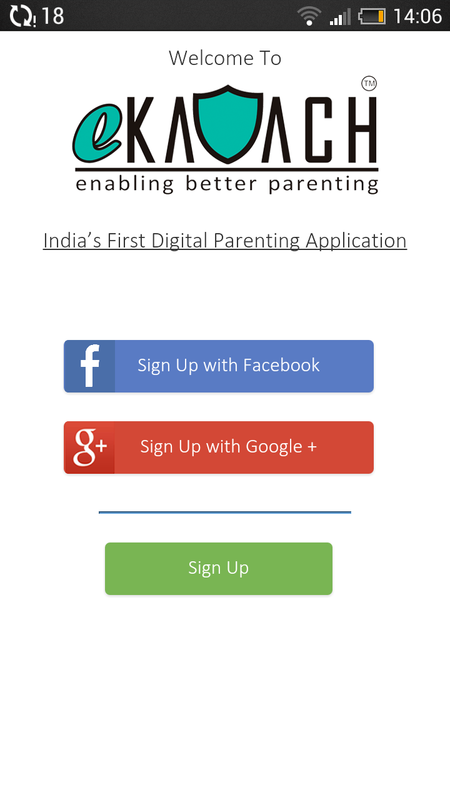 Once you download it, then you can sign up within few seconds using your social media face book account, google plus or simply fill the details by clicking sign up button.The application installation involves three steps process where both parents need to install the eKAVACH parental control mode for setup and different child mode app in kid smartphone or device. 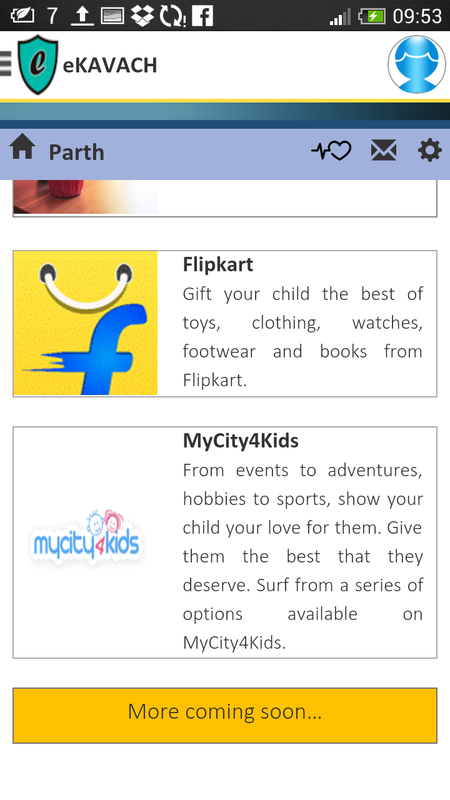 Once you install the application on child device, then you can browse the dashboard menu for account details section where you find information about both parent and child account. 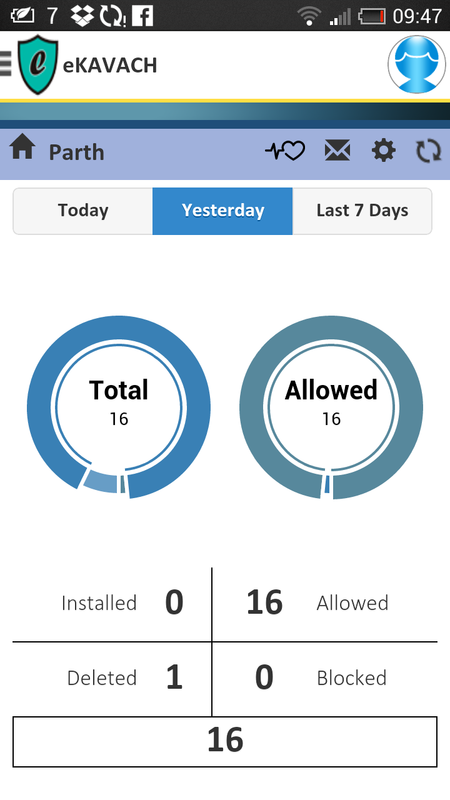 I do not have to keep an eye on my lid for twenty hours a day as eKAVACH application automatically filters the content and restrict kids on entering sites which are not suitable for them. 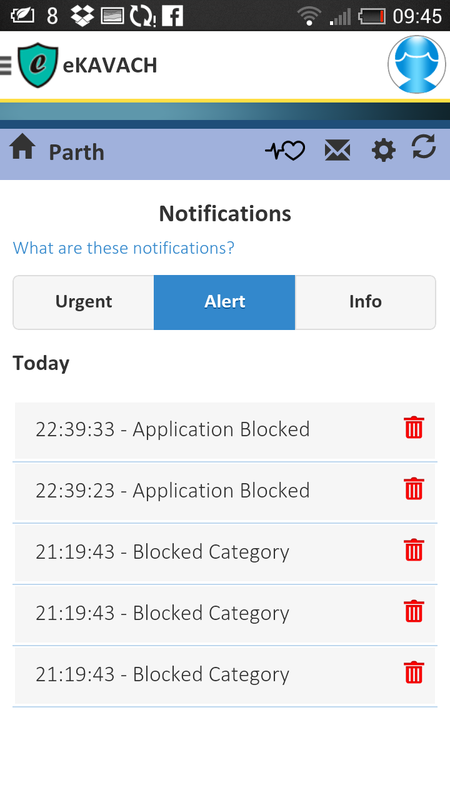 In order to try myself, I found that social app whatsapp was blocked on my child device. Children can face difficulty when they are alone or lost. 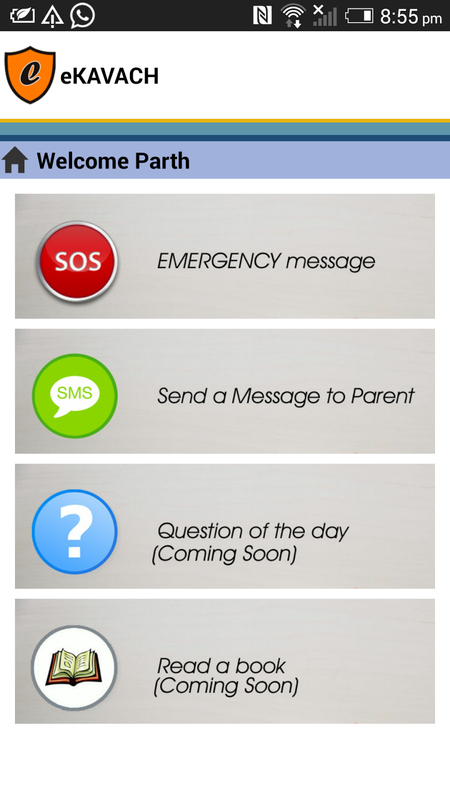 But now with single touch on SOS button in eKAVACH app can directly send message to parent within few seconds. 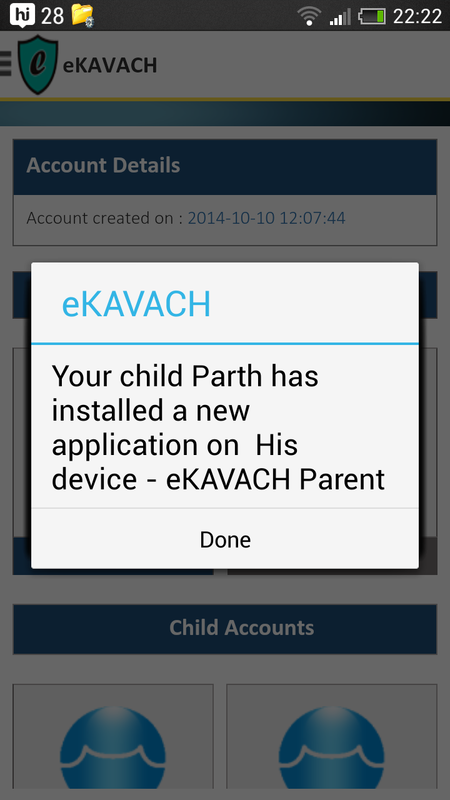 Getting instant alerts on my Smartphone through eKAVACH parental app about my child online activities is really cool and awesome thing. 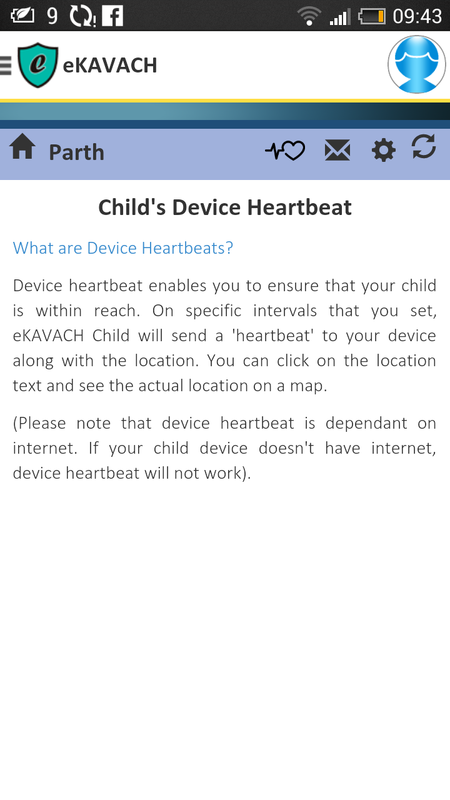 There are many others features like device heartbeat and pamper your kids etc which helps to track exact location of child and also shop for child related products etc. My wish list in next upgrade is having different password for each parent. Also the application should be available for windows phone users. 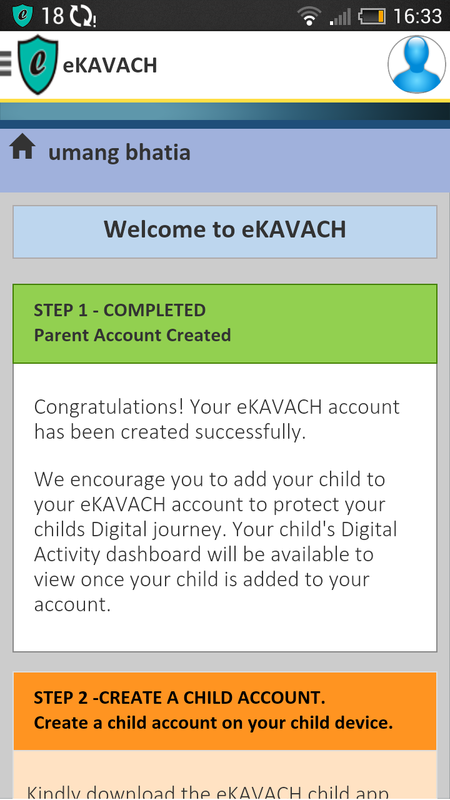 Overall, I found the eKAVACH app really useful as there are lot of unique features which can be useful in digital parenting.